Northwest coast First Nations are helping the American Museum of Natural History breathe life into an antiquated exhibit. 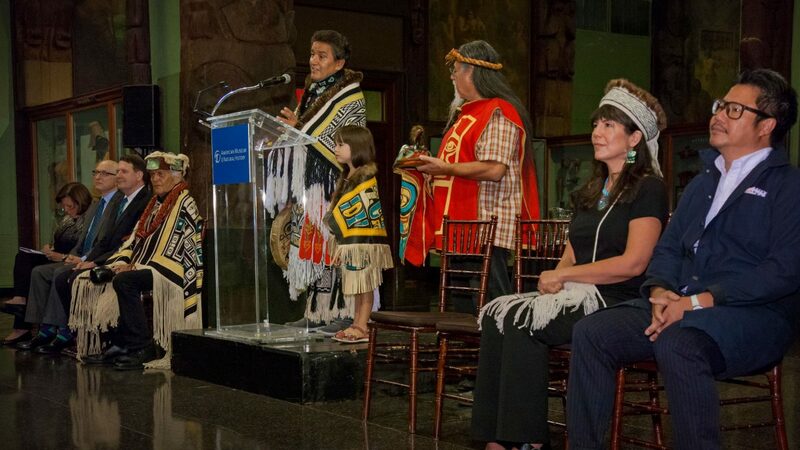 Curator Peter Whiteley stepped up to the podium in the middle of the Hall of Northwest Coast Indians at the American Museum of Natural History (AMNH) in New York to make a statement. Next to him stood guests from the First Nations communities whose histories and artifacts—their carved wooden house posts, ceremonial poles, and masks, clothing, baskets, and tools—were on display throughout the hall. Several representatives from the Haida, Tlingit, Kwakwaka’wakw, and Nuu-chah-nulth had flown in to join the museum for the milestone announcement: after nearly 120 years, the hall was about to see a major upgrade. If you walk through the exhibit today, you get the impression that the cultures it portrays are dead to history. But as the First Nations guests would attest, their respective societies are alive, well, and thriving. The upcoming renovation aims to breathe life into the still and quiet artifact assemblage. “Rather than having a passive array of objects displayed on the wall, we can create immersive impressions of a culture,” says Kulapat Yantrasast, the creative director at wHY, the design firm that will upgrade the exhibit. 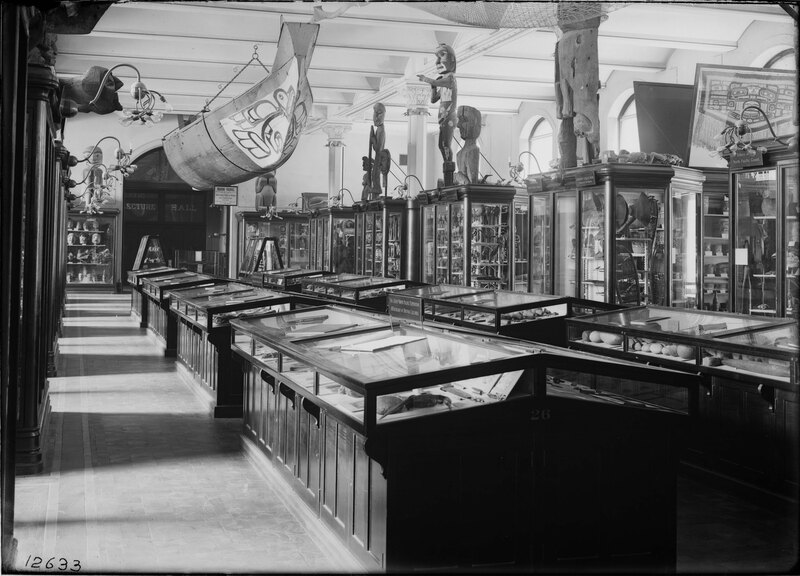 The AMNH’s Hall of Northwest Coast Indians first opened its doors in 1899, thanks to the efforts of Franz Boas, an anthropologist who traveled the Pacific Northwest collecting First Nations relics with his long-term collaborator George Hunt, of the Kwakwaka’wakw people. The exhibit hall has not appreciably changed since Boas’s time as assistant curator of ethnology, from 1897 to 1902. Through his work, Boas promoted a concept—radical at the time—that societies should be viewed not as dots on an evolutionary path from “primitive” to “advanced,” but as cultures in their own right, each deserving appreciation. More than 100 years later, the museum is finally taking the next step in properly reflecting the Pacific coast nations as they are: dynamic societies with traditions that stretch back to antiquity. To achieve this shift, the museum is working closely with the First Nations. 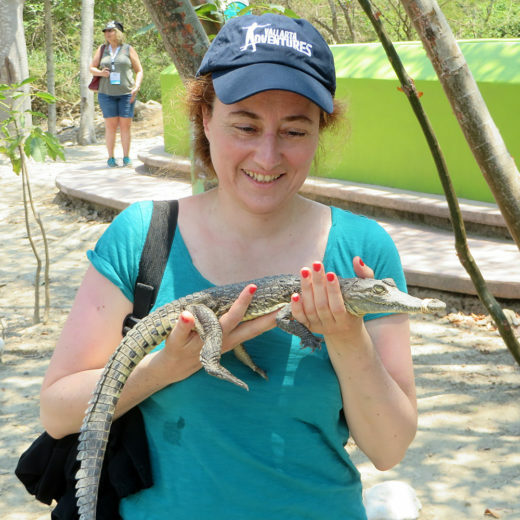 The efforts of the AMNH and other institutions to reach out to First Nations is in stark contrast to the past. Around the turn of the 20th century, dealers and collectors often raided First Nations territories, taking artifacts without permission, including graveyard bones, says Nika Collison, a curator at the Haida Gwaii Museum in Kay Llnagaay, British Columbia. It’s not clear how the canoe had landed at the museum, but when George stated it was property of his tribe, the museum sent it back to Angoon where it got a hearty reception—like a family member returning home after a long journey, he says. Repatriation of First Nations’ property has become an important gesture toward righting past wrongs. Cranmer says his tribe, too, had an ill-gotten collection of masks returned—by London’s British Museum. But Cranmer says the mask collection his great-grandfather helped procure for the AMNH was obtained as a fair deal—and the museum is where the masks belong. The delicate items also stay better preserved here, he adds. Indeed, as part of the exhibit upgrade, museum conservators will revitalize over 1,000 relics, sealing cracks and cleaning the dust, soot, and coal particles that have accumulated with time. For many people, a trip to the AMNH, which sees five million visitors each year, will likely be their first—and perhaps only—exposure to Pacific coast nations. The restoration project is budgeted at US $14.5-million. The hall will remain partially open throughout, with the transformation expected to be complete by 2020, to coincide with the celebration of the museum’s 150th anniversary. *Correction: This paragraph has been updated to clarify that it was not George Garfield himself who found the historic canoe at the AMNH. Nor was it a full canoe, just a piece of one. Cite this Article: Lina Zeldovich “The American Museum of the Alive and Well,” Hakai Magazine, Sep 28, 2017, accessed April 25th, 2019, https://www.hakaimagazine.com/news/american-museum-alive-and-well/.